This year, Cheerios™ is celebrating the 12th Anniversary of their commitment to literacy through such programs as Cheerios Cheer On Reading and Spoonfuls of Stories™. Cheerios created the program in 2003 to help get books into kids’ hands and encourage parents and kids to read together. And for the second year in a row, Cheerios will also feature a chapter book for older readers inside specially-marked boxes of Honey Nut Cheerios. This year’s book, “Phineas L. MacGuire...Gets Cooking,” was written for exclusive release in Cheerios boxes by Frances O'Roark Dowell, author of the “Phineas” series. The book is written in three parts so there are three to collect. 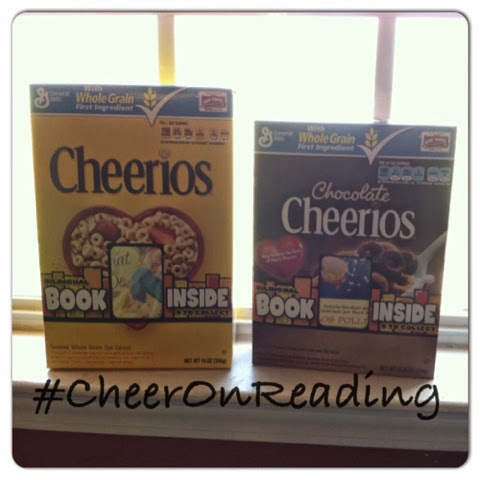 What's even more fun about these books is that you can visit www.cheerios.com/cheer-on-reading to find an activity, which corresponds with one of the books in the boxes of Cheerios cereal that you buy. 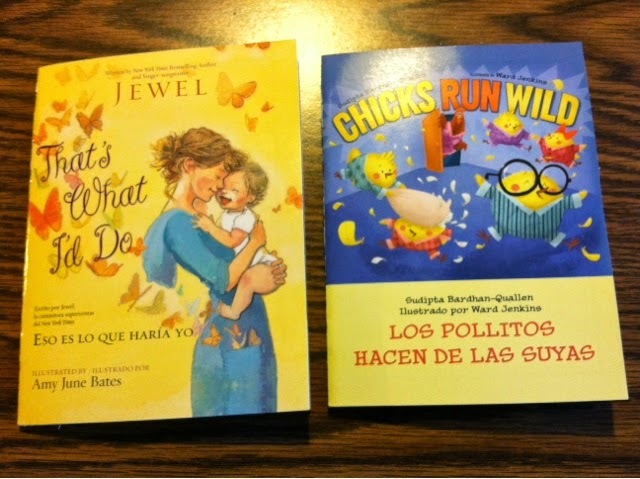 We received “That’s What I’d Do” by Jewel and “Chicks Run Wild” by Sudipta Bardhan-Quallen. As soon as Sweet Pea saw the books in the box she insisted I open them. My daughter was so excited to see books IN her Cheerios! She loves books and loves to read. And of COURSE she loves to eat Cheerios! The books we received were right up her alley. This is an amazing program though. There is a GREAT deal on Cheerios this week (until Wednesday), they are BOGO and then there are some corresponding coupons. I am going to definitely buy some more with these books inside! Do you like getting surprises in your cereal? What do you think about this program? We love this promotion. Since I am trying to teach my little one Spanish, I especially love that the books are bilingual.